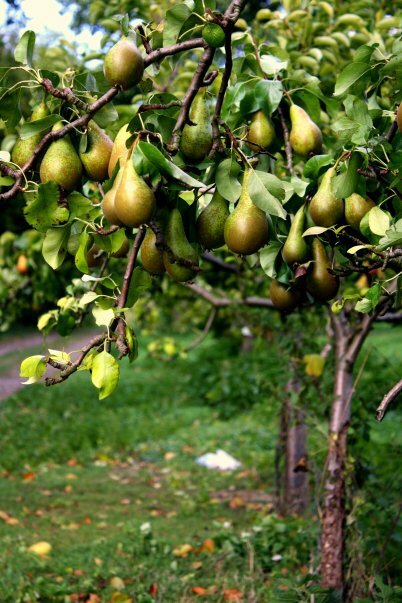 Our seasonal Farm Shop was started in 1968 and sells the full fruit range of all the varieties that we grow. 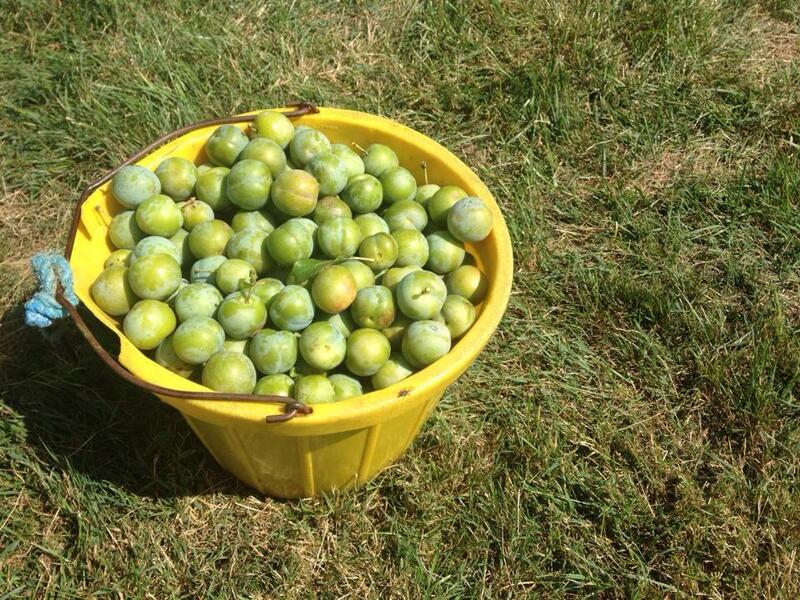 We open 3 days a week and the season starts at the end of July with Plums. The closing date may vary from year to year depending on how long Apple stocks last. This 9-acre site was first planted circa 1900. It was grubbed in the mid 80’s and used for arable crops. Re-planting started in January 2005 with a range of varieties, many dating back to the Victorian times or earlier. We started pressing our own Apple Juice in 1996. The single variety juices have become increasingly popular over the years and we have been able to expand our range as new Orchards have been planted. The process involves grinding the Apples to pulp before pressing in a hydraulic press. The juice is then bottled into 33cl and 75cl bottles and pasteurised. Vitamin C is added to prevent discolouration. There are no other additives. Apples are allowed to properly ripen on the tree before picking to ensure that they develop their full flavour. Apples used for Juice are pressed as soon as possible after picking. Tim Elbourn started making our award winning cider and perry in 2008. Over the years we have produced blends and single cider varieties. Home made from our own fruit or from fruit sourced locally. Made from picturesque photos taken in and around our orchards. Although many of our Heritage Orchard Apple varieties are grown on a small scale and are only available through our Farm Shop, other varieties such as Cox and Bramley apples are grown on a larger scale and we are able to supply other outlets. 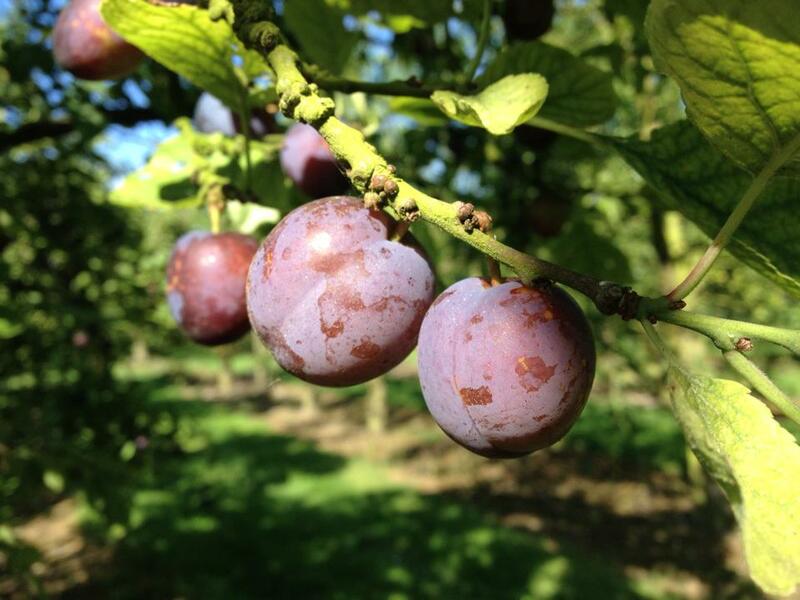 We are East Anglia’s largest plum producer and wholesale both locally and further afield..We have supplied all the Major Supermarkets over the last 15 years but this is an ever-decreasing proportion of our business. We supply many local village shops, Farm Shops and Pubs with Apple juice, Cider and Fruit and we welcome wholesale enquiries from a local or National level.